Colorado Man Pleads Guilty To Strangling Wife, 2 Young Daughters Christopher Watts, 33, had gone on television in August to call for the safe return of his wife and children. But the bodies of the three were later discovered dumped in an oil field. 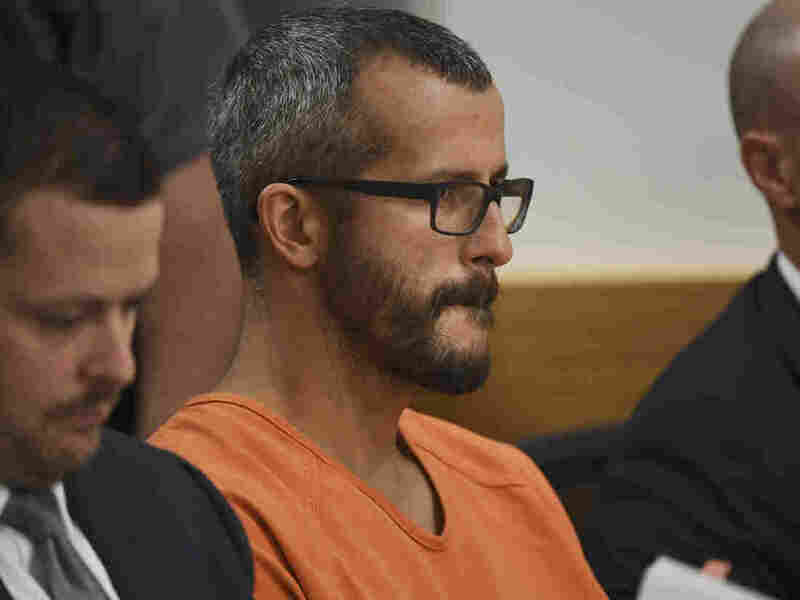 Christopher Watts in court for his arraignment hearing at the Weld County Courthouse in August in Greeley, Colo.
Watts acknowledged strangling his wife, Shanann, 34, and their daughters, Bella, 4, and Celeste, 3, and dumping their bodies in an oil field belonging to Anadarko Petroleum, where Watts had worked until he was arrested in the case, according to Denver 7 News. In August, after Shanann and the two girls were reported missing, Watts appeared on local television pleading for their safe return. "I hope that she's somewhere safe right now and with the kids," he told Denver 7. Within a day, police announced his arrest. Initially, Watts told police that he killed his wife in a rage and that she had strangled the daughters after he had acknowledged an affair and his intention to separate. At a news conference on Tuesday, Weld County District Attorney Michael Rourke called Watts' story "a flat-out lie" and said he deserved a life sentence for each of the nine counts to which he had pleaded guilty. Colorado law requires that a first-degree murder conviction bring a mandatory life sentence without the possibility of parole. During the hearing, Watts was handcuffed and wearing a bulletproof vest. According to the Associated Press, Shanann's parents and brother were present during the hearing. The Rzuceks, Shanann's family, agreed not to pursue the death penalty partly because of the "extraordinary delays" involved, Rourke said. Rourke blamed Colorado Gov. John Hickenlooper for refusing to allow executions while he is in office.